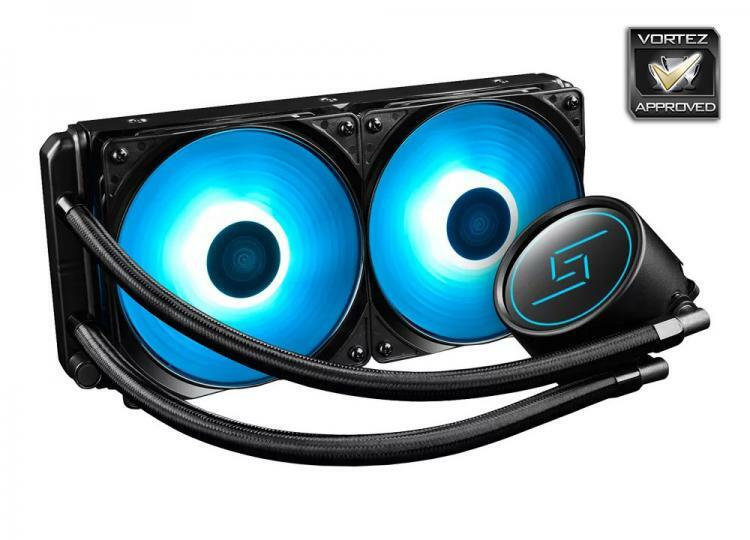 Well, we set about this review with the impression of it only costing £49.99 in the UK, an absurdly low price for a 240mm all-in-one watercooling loop, so bearing that in mind we tested it in the exact same manner we would any other cooler. Firstly, thermal performance, while not earth-shattering it was capable of beating some hard competition in the NZXT Kraken X62, a 280mm radiator loop costing over twice the price. Acoustics, however, did suffer somewhat, producing 40dB(A) at 3.8GHz and at 42dB(A) in our overclocked tests, we found it was almost topping the graphs, not particularly amazing, but we will keep going back to the point of the price. Please also bear in mind that our system, when overclocked to 4.4GHz, gives a “worst case scenario” for any CPU cooler, with the Intel i7 3930K producing around 170W of heat, if your CPU produces much less heat than that then take that into account. Installation was no more difficult or awkward than most coolers on the market, but please remember our mention of the fan’s mounting holes not quite lining up with the tapped holes on the radiator; while it was only slight, we did have to do some jigging about to get all four screws into place. Having said that, in the grand scheme of things, it didn’t really change how the cooler was installed and it was only a minor inconvenience. RGB lighting, which has been big on enthusiast components for a couple of years now, is big business and DeepCool, perhaps more than most, have truly jumped on the bandwagon, incorporating RGB into anything and everything they can; while we enjoy the RGB factor of the peripherals we test, we also like being able to control that lighting easily. DeepCool’s lack of a SATA-powered RGB controller, which they tend to include with all of their other CPU coolers, is a shame. We can’t imagine they cost much to produce, being only a few thin wires and a small plastic enclosure with three buttons, but it provides RGB lighting control for machines as aging as ours which lacks any RGB headers on the motherboard. Above all else, really, is that price tag. At £49.99 it’s considerably cheaper than most cooling solutions sporting a 240mm radiator, especially when the RGB lighting is considered. While we found flaws with the all-in-one cooling loop, in the form of loud audibles and the lack of RGB control, we can’t help but offer a recommendation of it based purely on the low price, providing you can cope with the louder cooling.